What is the difference between alkaline water and ionized water? You need to know a few terms used in chemistry to understand the difference between plain alkaline water and ionized alkaline water. Most of all, you need to understand that alkalinity and pH are not the same thing. Alkalinity measures the ability of water to neutralize acids. Alkaline water can have high alkalinity while having only a moderately alkaline pH because alkalinity and pH are not the same thing. You want water with high alkalinity to neutralize as much acidity as possible if your health challenges come from acidity. 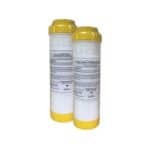 Consequently, alkaline ionized water can also have low alkalinity and a high pH. Water ionizers can make water with high pH and moderate alkalinity. The Potential Hydrogen (pH) of water refers to its potential to attract positively-charged Hydrogen ions (H+). Your levels are maintained in a narrow range by your body. Because of this, pH isn’t as important as alkalinity when it comes to your health. What you’re drinking alkaline water for is it’s acid-neutralizing alkalinity and it’s antioxidant potential. Ionization occurs when an atom or molecule either gains or loses electrons, when that happens, the atom becomes an ion – a charged particle. When an atom becomes an ion, its electrical charge can be either positive or negative. It depends on whether the atom gained or lost electrons. The minerals in alkaline ionized water – mostly calcium, magnesium, and potassium – gain electrons from the ionization process. The extra electrons give the water a negative electrical charge. That charge gives it antioxidant potential. Ionized water can be either alkaline or acidic. 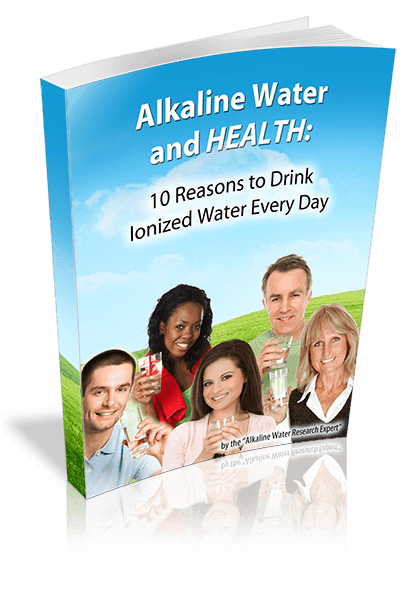 Alkaline ionized water has alkaline minerals in it. Conversely, acidic ionized water from a water ionizer has carbonate in it, which makes it a dilute solution of carbonic acid. A water ionizer puts a negative electrical charge into the water it makes. As a result, that negative electrical charge gives the water antioxidant potential which can be measured, just like the charge of a battery. The negative charge is called its Oxidation Reduction Potential (ORP). Alkaline ionized water when mixed with vitamin C enhances it’s antioxidant benefit. You can do this by mixing alkaline ionized water with the juice of any citrus fruit. The only problem with the antioxidant potential of alkaline water is that you can’t store it for very long. Due to that fact, the antioxidant ORP of alkaline water begins to decline after about 24 hours. So it’s best drank fresh from the ionizer. Bottled alkaline water has no antioxidant potential because the antioxidant potential doesn’t keep. Because of this, the best water comes fresh from a water ionizer. Another problem with bottled alkaline water is due to chemical contamination: BPA, phthalates, and antimony have all been detected in bottled water. BPA and phthalates are potent hormone disruptors and potential carcinogens. Antimony is a heavy metal and a known carcinogen. Alkaline water draws antimony out of plastic. So antimony contamination will be worse with bottled alkaline water than it is for plain bottled water. Most noteworthy, You can finance a water ionizer for less than you’d pay for bottled alkaline water. 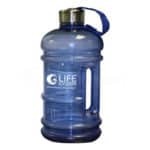 Bottled alkaline water is expensive, you will pay between $2 – $5 per bottle for it. If you drank 2 liters per day of bottled water, you’d easily spend more than $100 per month! Furthermore, you can finance a water ionizer for about half that, and have it paid off within two years. Finally, a study called Electrolyzed-reduced water protects against oxidative damage to DNA, RNA, and protein tested the effect of mixing ionized alkaline water with Vitamin C. The antioxidant strength of Vitamin C was tripled by alkaline ionized water! 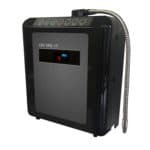 Here’s how you get the added antioxidant benefit using a water ionizer. Simply mix the juice of a lemon, lime, orange or any citrus fruit with your water from a water ionizer and drink immediately. Coassin, Mariagraza, Fulvio Ursini, and Alberto Bindoli. “Antioxidant effect of manganese.” Science Direct. Archives of Biochemistry and Biophysics.” Science Direct. Science Direct. Web. 9 Jul 2013. <https://www.sciencedirect.com/science/article/pii/0003986192902822>. Lee, MY, and YK Kim, et al. “Electrolyzed-reduced water protects against oxidative damage to DNA, RNA, and protein..” Springer Link. Humana Press, 1 Nov 2006. Web. 8 Jul 2013. <http://link.springer.com/article/10.1385/ABAB:135:2:133>.